Being caged is a choice, freedom isn’t for everyone. Every afternoon at the same time they fly overhead, a flock of more than 30 birds, wild and uncaged. 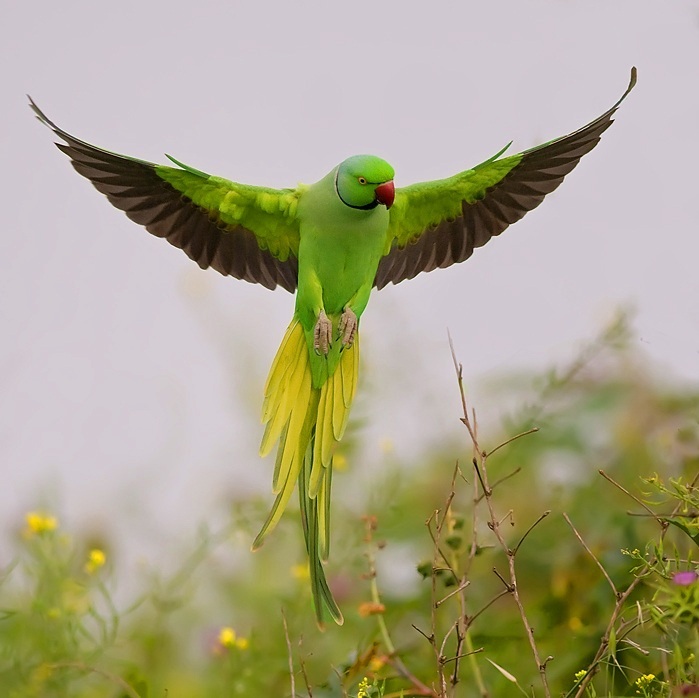 Since moving to Parkhurst in Johannesburg two months ago I have noticed the feral population of rose ringed parakeets, or ring-necks, flying noisily each day as they make their way to their nightly roost. They fly the same path each time, directly over my house. They do it by choice. I used to keep ring-necks in an aviary I built when I was sixteen, they are beautiful birds. I had never seen them flying free before. They don’t belong in Johannesburg; their natural home is on the other side of the world on the Indian Subcontinent. But somehow, one or two have escaped their cages and a wild population of the birds is growing. Don’t get me wrong, I understand that an exotic bird breeding freely can be a threat; I only need to think of that other menace from India, the Myna. But I can’t help feeling a little thrill when I see the parakeets. Maybe it’s because they’ve been caged as pets since the times of the ancient Romans and Greeks. Maybe it’s because I am sure that many people who see them have plotted to trap and recapture the birds. Maybe it’s just because I know that they defy the odds. Unlike a caged bird, we have a choice regarding our freedom. So many of us choose to remain caged, fearful of the uncertainty and unpredictability that waits on the other side of the cage door. Some people even find happiness in a caged condition, freedom isn’t for everyone. Security and a certain amount of comfort associated with a cage guarantee an acceptable outcome; after all, it’s what is known to us. But it’s a poor substitute for freedom. Relationships cage us, and can trap us in unhappiness and an unfulfilling monotony. 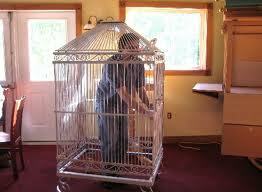 Jobs can cage us too. But mostly we are caged by our acceptance of the hand that life has dealt us, the boundaries we have put in place for ourselves. To change life is too risky. The ‘what if’ is a very secure cage door indeed. Fear can control you, but only if you allow it to. It’s your choice. On black women, property ownership, and unconsciously discovering being privileged. She called me Paul. Then realized that she’d got it wrong, and recovered by saying, “You’re white, and all white men look the same to me.” The room erupted in laughter, and so did I. Without knowing it, Kagiso Msimango, author of “The Goddess Bootcamp” had given me a perfect launching pad for my talk to a very large room full of black women commemorating Women’s Day. She had allowed the audience to laugh at my expense, and I needed that. Given that I was the only white person in the room, tasked to deliver a talk about investing in property, and taking the stage after a previous speaker who had thrilled the room with stories of what black women had done to rebel against the former system, it was a tough gig to say the least! 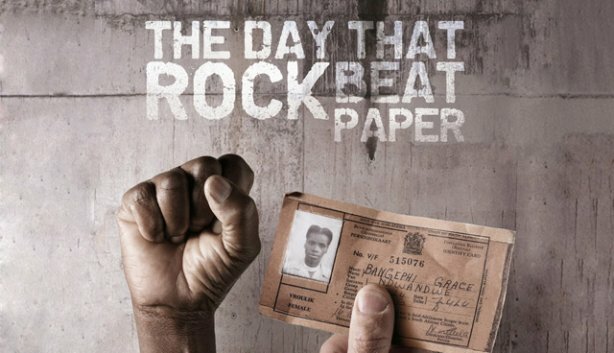 It is no secret that women have had a historically tough time in South Africa. The shackles of male dominance still bear scars – deep scars. Apartheid in particular did black women no favours and to think that twenty years can turn it all around is foolish in the extreme. My own insecurities furnished me with a momentary, cold, sweaty vision of being booed off the stage. But I needn’t have worried. As the narrator of this potent message of economic empowerment I could have been absolutely anybody. The more I spoke about the keys to financial independence, wealth creation, and conscious liberation, the greater the level of excitement and the brighter the eyes that beamed back at me. I had expected some interest, but this reaction surprised and overwhelmed me. I couldn’t help but wonder why the message was new to so many in the room. These were middle and upper management government employees. Women on a good salary. Surely they should know about the power of investing in property, the potential and the growth. The wealth creation that results from an investment that is sure to deliver a return in the long term. The fact that one needs to live somewhere, and that if that property is not yours, you are paying somebody else for the right to live there. Things that my parents had taught me. And therein lies the rub. I suddenly felt overwhelmingly privileged. The cost of generations of people owning no property of their own has given rise to a young generation that by and large squanders money on expensive cars and on the instant gratification associated with the trappings of success – through no fault of their own. The news is positive. The stats tell me that women are getting married at approximately 29 years of age in South Africa, and they are carving a career before they marry. More women are purchasing property on their own than ever before. And that figure is rising rapidly. Women are getting married out of community of property – an even better sign that empowerment is happening on the ground. But real power, tangible power, lies in education. There are generations crying out for knowledge, because that knowledge results in genuine freedom. And the only thing we truly have control over is ourselves. Therefore, if we know no better, we have little control over our future. I couldn’t help feeling that I was repaying a long outstanding debt. I plan to do it again, because it felt good. I don’t mind being Paul. If Women’s Day is about celebrating empowerment, liberty, and economic freedom, can’t we do better than to make the day about free massages, facials and bubbly?